Cats love heights, this is obvious, but it is also true that they do not have a Superman outfit rendering them harmless from an impact against the floor. We are walking down the street and see people gathered under a balcony. We look up and we see a cat walking on the balcony banister. “¡Oh no! Some say” that it’s going to be a bad fall. 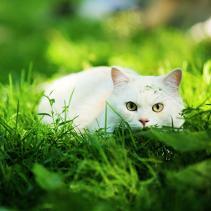 “¡Of course not!”–say others – “cats always land on their feet and they never hurt themselves”. If we listen to popular belief, the people in the second group would be right, rather than those of the first group. Although it is well known that popular belief is often right, on many occasions it is also wrong. 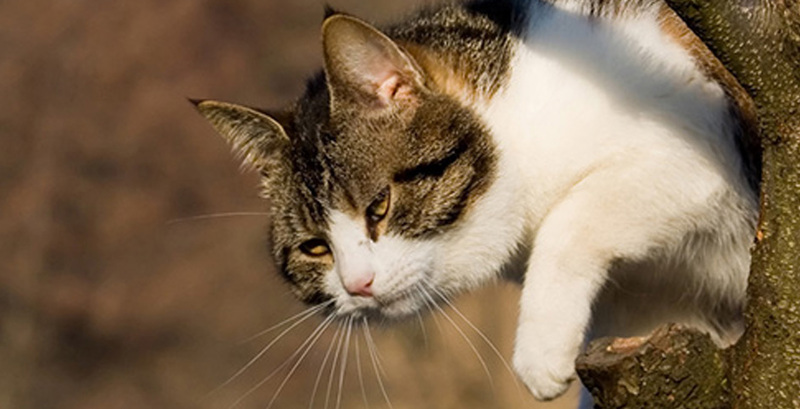 It is true that many cats have a penchant to heights and it is not difficult to see them perched on roofs, trees or resting on a windowsill as if this were the most normal thing in the world. If for any reason, a cat fell from a certain height, given its extraordinary sense of balance and due to its extremely flexible body it would be able to turn its head, trunk and legs in such a way that the four limbs face downwards. Right before hitting the floor, it stretches its legs and arches its back to reduce the impact. This perfect sequence, extracted from the “Good manners manual for beginner cats”does not always work. It all depends on the height and speed of the fall, which affects its capacity of reaction to adopt the correct position and cushion the impact, and on the surface on which it falls: falling on soft grass is not the same falling on hard tiles. Likewise, this method will not work if we throw a kitten up in the air with our arms as if it were a baby to show our love. Thus, we must respect the peculiarities of the feline and its passion for heights, but we must always put common sense above everything and keep it away from dangerous areas.